Cost-per-click (CPC) and cost-per-mille (CPM) are the most common models, and an increased focus on performance-based advertising has increased the popularity of cost-per-action (CPA) and cost-per-lead (CPL) models, but they may or may not be the right fit for your business. It’s important to evaluate which model is best for your business. Each type has different strengths, some of which may align better with your business’s goals. It may be useful to consider what growth stage your business is currently in, as well as where you want to go. And, of course, consider which is the best platform to use based on your business’s unique needs and goals. At Kafe Digital Marketing, we can help you answer these questions, find the pricing model and online advertising strategies that work best for you, and more. Contact ~Representative at support@kafedigitalmarketing.com or 570.431.9593 today to get started! 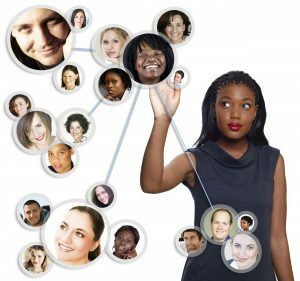 If you want to learn how to take advantage of Digital Word-of-Mouth marketing, then contact Kafe Digital Marketing at support@kafedigitalmarketing.com and we will show you how to get started building your company reputation in 5 easy steps. Over 2 billion people in the world are connected through social media, with 20% of the world's internet users having an active Twitter account. Twitter is a great platform to boost your business. We at Kafe Digital Marketing are equipped with the knowledge and resources to help you reach your customers through Twitter. When you engage with influencers — you're creating the opportunity to gain more followers, more engagement, and more traffic to your website. Do you recognize any of the following signs? So, know your audience, decide on your strategy and use the correct tactics. If you are unsure, seek advice. Shoot me us an email at support@kafedigitalmarketing.com. Any smart online digital marketer will tell you that your website is the most important aspect of any successful online business. And any successful website covers every angle when it comes to the customer's journey on finding exactly what they need, whether that be a product or service that the business is offering. Do it wrong, and that customer will go to another website where that business is doing it right. In this case, you would build up on why your product is better, or where your service is better than ‘company-x.' Building your brand all starts here on your web property. Send an email now to support@kafedigitalmarketing.com and let us know how we can help you today. It is recommended that you invest about 15% to 20% of your monthly profit into online marketing. Internet marketing agency pricing varies, as does the online marketing cost for different strategies and packages. Why do companies engage in digital marketing? Companies invest a lot in online marketing, mainly because it is effective in more ways than one. It leads to better and faster return on investment, enhances the company's overall image, and increases your customer base on the Web. 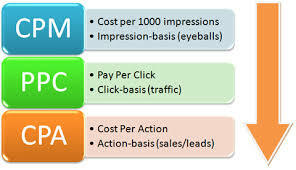 It will take much testing to determine an optimum online marketing cost, and it is best to consult an expert. However, spending less than 10% of your available monthly profit is not going to make much of an impact on your competition. This is especially true if your business is in its growth stage when you need to invest heavily in the strategy and tools that will promote, sell and create revenue. How much of your available profit do you re-invest in digital marketing? Shoot me an email at support@kafedigitalmarketing.com. How much time a day do you spend with technology? According to CNN, the average American spends 10 hours a day in front of some kind of screen. With eight hours of sleep time, that means that more than 60 percent of your waking hours are spent in front of a TV, phone, or computer. What does that mean for your customers? The best way to reach them is by embracing digital marketing. Most businesses have some conglomeration of tactics to create an online presence, but without a clear strategy, your presence can turn into random pieces of digital mess that does not contribute to converting customers. We can help prevent that and help utilize this tool to reach your bigger business goals. A holistic approach means you never have to worry about some tactics going astray. Still not sure if a digital marketing plan is for you? Well, here’s the best words anyone can hear when talking about business expenditures. A digital marketing plan for your company can help increase your return on investment. It does this by improving your visibility to potential customers and increasing your sales. Ready to create your digital marketing strategy? Call us today at 570.431.9593, and we can help you shine! 5. FAQs are found on almost every website. Whether they're questions about shipping times or your return policy, you want to make sure anything a customer may wonder about is clearly spelled out. Send us an email at support@kafedigitalmarketing.com to learn more about what we can do for you! Your social media marketing initiatives must be built on building a dialogue, where YOU speak and listen to your audience and responding to their wants and needs. Get them to talk. Then so can you listen and respond. Is your brand into monologues in social media? It should NOT be that way. You should take the time to listen and respond to your audience. A two-way conversation helps you connect your brand with potential and existing customers on a human level. Conversations give your brand a personality attracting more potential customers. Much like in real-world social interactions, a conversation on social media must be two-way. Don’t you agree? Ask questions. Be genuine about wanting to learn more about them. If you’re not doing this yet, don’t you think it’s worth a try?